Dear friends started a podcast focused on stories from hosts in the vacation rental and home sharing industries. With that, Debi and Rob also wanted an accompanying website through which to share new posts and to better build their brand. 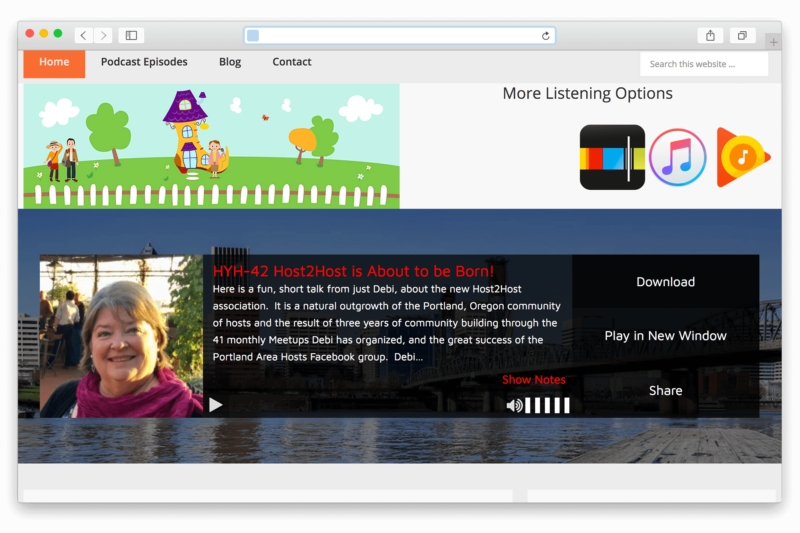 After searching for an out-of-the-box solution, we decided to create a custom WordPress site that offered integration with their podcast platform.